In my humble opinion, a getaway that combines fresh air, R&R and fine food is pretty much the definition of perfect happiness. Destination: Chelsea and Wakefield for a dream couples weekend! What makes a getaway even more perfect is when the journey is as beautiful as the destination! And that’s exactly the case when you travel to Wakefield. 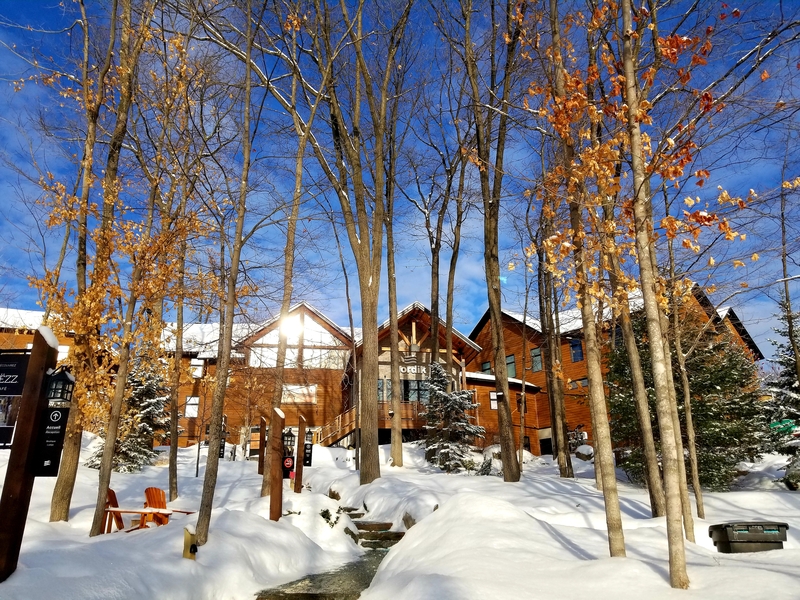 Besides its lovely setting alongside the Gatineau River, Riverside Road in Wakefield, with its many (and charming) little shops, has everything you need to organize an adventure in Gatineau Park. First stop: Expéditions Wakefield to rent cross-country skis. Whether you just prefer to travel light or are trying a sport for the first time, this is the perfect place to test out winter equipment. From snowshoes and cross-country skis to fat bikes, you’ll find everything you need! Our backpacks now pleasantly laden with food, it’s time to put on our boots and skis and hit the trails in Gatineau Park. 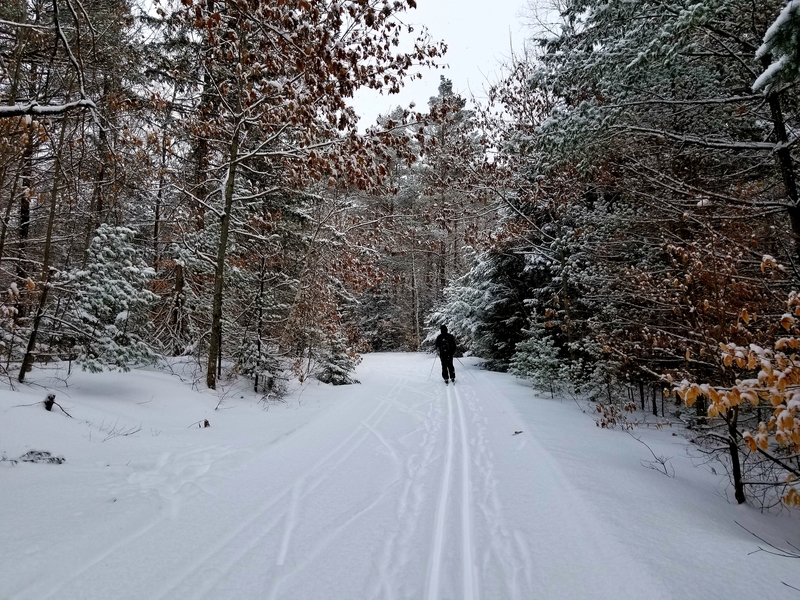 Picture a typical Christmas-card scene: a majestic snowy forest with snow falling gently, sparkling in the rays of the sun … Well, that’s exactly what Gatineau Park looks like, with the added bonus of the sounds of nature (and of your skis gliding through the snow). Interesting and friendly fact: other skiers smile and nod as they go by. It’s lunchtime, and our timing is excellent: the trailside shelter is just ahead. Time to take a break and warm up beside the wood stove. 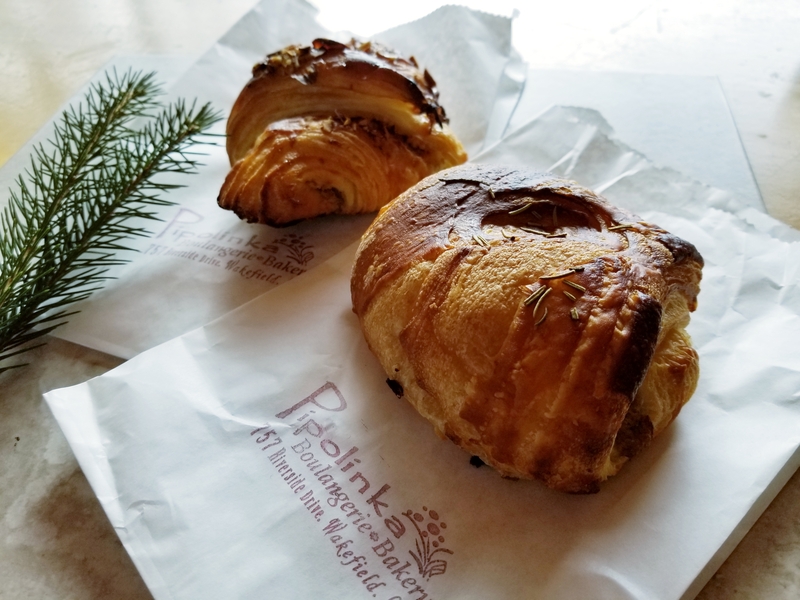 As for our pastries in their tinfoil wrapping, they warm up on top of the stove! After all that exertion, we deserve a reward. And what would a stay in Chelsea–Wakefield be without a visit to Nordik Spa-Nature? So we switch into relaxation mode, and let’s face it, it’s impossible not to do just that at the largest spa in North America. Our only task: Complete three thermal cycles for optimal relaxation. After the Aufguss ceremony at 4 p.m., it’s time for a drink, and comfortably settled in a robe by the fireplace, that’s hard to beat! After a last dip in the thermal baths, we head to one of the best restaurants in the Outaouais, L’Orée du Bois, for a culinary experience with a regional flavour. And that experience isn’t limited to the food: the hospitality, the service and the warm atmosphere are equally outstanding. Chef Jean-Claude Chartrand believes a dish should highlight the flavour of each of its ingredients. One taste, and you know it’s mission accomplished! 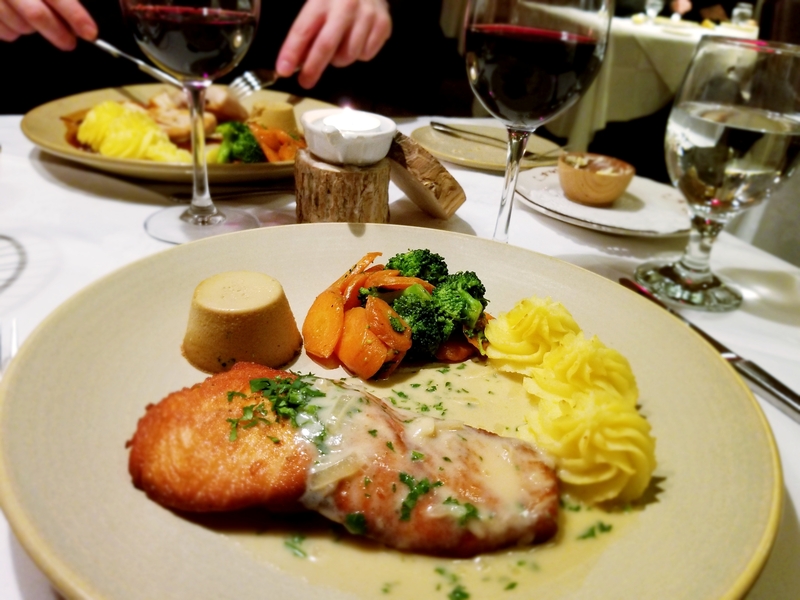 With its cozy decor, tasty cuisine, and snow falling outside, L’Orée du Bois is the perfect place to end the day. Not quite ready for bed? If you’re still up for a party, drop by the Blacksheep Inn for an intimate live show in a charming room. After your action-packed day, you’re sure to have a restful night at the Wakefield Mill, where you’ll enjoy comfort, an iconic winter setting, and a delicious brunch. 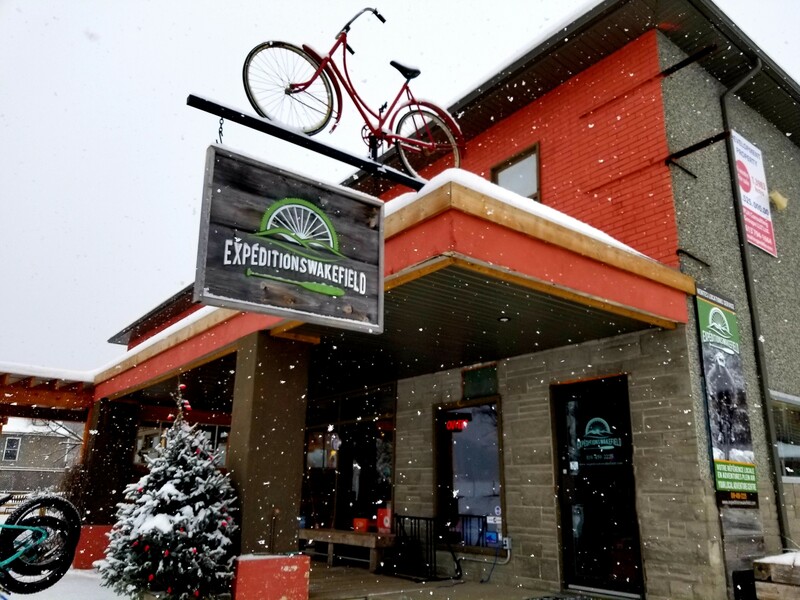 You’ll be in top shape to discover Wakefield’s little shops, such as Khewa, specializing in Indigenous art and crafts, and the Wakefield Confectionery, where you can (over)indulge your sweet tooth. As you leave for home, a coffee and a delicious pastry from Biscotti & cie will hit the spot! Want to extend your stay in Chelsea? Read Anne-Marie’s blog post to find out about all the little treasures to be discovered!